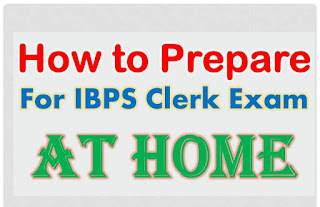 How to Prepare for IBPS Clerk Exam At Home: hell friends are you searching for “How to Prepare for IBPS Clerk At Home”. Here we are giving the tips for “how to crack bank clerk exam”. Most of the candidates properly not prepare IBPS Clerk Exam. Here we present the IBPS Clerk Guidance your ibps exam preparation so easy. Check the IBPS preparations tips as shown in below. The candidates are searching for the IBPS Study plan and preparation tips. Candidates prepare properly and choose the right answers the Questions. Most of the people say “you have to prepare properly and you get sucessed”. 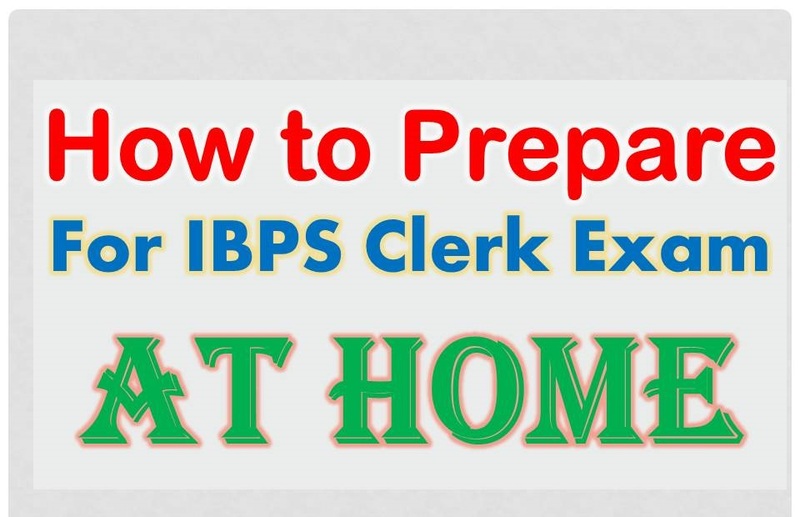 How to prepare for IBPS clerk exam 2017 at home it means to cover all the things for an exam in the very well-structured manner so that no topic is left uncovered and the main points which could help candidate should be noted down. Prepare means ready. A candidate must be completely ready to go for the exam before it held. The candidates choose the right syllabus for IBPS Clerk Exam, Study Material. Prelims exam is objective type exam. Total 100 questions. Each question carries the 1 mark. Total minutes time duration. Candidate each question stays in 36 seconds. One word substitution section 3-5 marks. Spotting errors section 5-10 marks. In simplification may ask 5-7 questions. Relationship between Numbers concept ask 3-5 questions. Prepare well and well get the good marks in numerical ability. Candidate practice well they easily answer the question. arithmetical reasoning ask the 3-5 questions. The candidates complete the prelims exam successfully enter to main exam. Here we give the how to get a good marks in IBPS Clerk Main Exam. Mains exam is Descriptive Type Exam. Total 190 questions for 200 marks. Total 160 minutes time duration. Candidate can approximately stay 50 seconds for each question. Choose the Best Study material. Prepare reasoning ability and English get good marks. General English total 40 questions. maximum question asked in comprehension of a Passage. In antonyms ask 5-7 questions. Synonyms concept 5-7 questions. General grammar gives the 10-12 questions. Comprehension of Passage 5-10 Questions. Vocabulary 3-5 questions. Prepare well in English Easily get the good marks. Total 50 questions asked in general awareness. Maximum questions asked in government schemes, International Organizations/ Financial Institutions and History of Indian Banking Industry. Indian Financial System concept may ask 5-7 questions, History of Indian Banking Industry concept ask the 3-5 questions. International Organizations/ Financial Institutions ask the 5-10 questions. Budget Basics and Current Union Budget concept ask the 3-5 questions. Capital Market & Money Market concept 6-8 questions. Government Schemes 5-7 questions. Abbreviations and Economic terminologies may ask 4-5 questions. This subject plays a significant role in any of online bank exam preparation. How to prepare for reasoning for IBPS? Total 50 questions get 60 marks for this subject. Prelims Reasoning Ability concepts are enough for main exam. Prelims questions are moderate, main exam questions hard (in-depth). Prelims Quantative Aptitude concepts are enough for main exam. Prelims questions are moderative, main exam questions hard (in-depth).